First let’s start to educate all clients about differences between executive Chauffeured car services and the so called “limo services” known as Black Cars. While the term chauffeur may refer to anybody who drives for a living, it usually implies a highly experienced driver of an elegant passenger vehicle such as a horse drawn carriage, luxury sedan, motor coach or especially a limousine,those who operate buses or non-passenger vehicles are generally referred to as “drivers”. 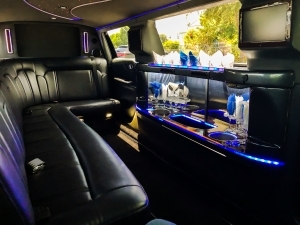 People currently sometimes employ chauffeurs full-time to drive themselves in their own personal vehicles, yet there are also professional services offering limousines driven by chauffeurs. These professional services can be termed as executive chauffeur car services. An Executive chauffeured car service is something that is very regulated by either a company or corporation. In an executive chauffeured car service company all the vehicles are owned and insured by the company and all chauffeurs work for that company. This allows said company to exercise control over it’s employees, it’s vehicles and it’s services. An executive chauffeured car service will have new cars; they will be clean and properly maintained both ascetically and mechanically. Their chauffeurs (chauffeurs not drivers) will be experienced with local drive area, navigational skills, properly and uniformly attired (usually in a dark colored suit) Dispatch and reservations will be consistent, organized and professional. This is how a true executive chauffeured car service is typically operated. Now that we explained professional service, we would like to educate clients about the so called limos, aka Black Cars. Now a black car service on the other hand is a completely different animal. Most black car companies don’t own anything except for a few phone lines, and all of their work is subcontracted to independent drivers who own and operate their own vehicles. The vehicles these gentlemen drive are not regulated nor checked for compliance or proper insurance, they dress however they like, and they do whatever jobs they choose. The call center for the black car company will dispatch as traditional cab services, dispatching on basis of whichever car is available and whoever is willing perform whichever trip they desire. Sounds convenient for the driver, but what about the customer who is getting picked up by god knows who, god knows the vehicle condition and god knows if even being picked up at all? These companies will only inform customers about their potential lateness or inability to pickup 20minutes prior to scheduled pickup time. Most of these companies are unreliable for punctual service, and quality service. In addition their pricing requires in depth examination. The black car company attracts on the basis of low base rates and estimates, however final charges require examination. The trips can with be inflated with additional ride charges. These charges are commonly known as unverifiable waiting time charges, questionable stops. Service charges and various other forms of charges. The most bizarre hidden charges are car seats (toddler booster seats), and the meet greet fee. It makes no sense to charge for booster seats and meet greet since the effort of placing booster seats in a car or parking car at airport to make contact with customer inside airport terminal is minimal to none. Now that we have defined the major differences between the professional executive car service and black car service, one can choose what fits ones transportation needs.